For all of the awesome that has ever come my way. I’m going with stick the sewing-related awesomeness today. Thank you dashingmarmot for this awesome dupion silk (and the patterns you sent, one of which I sewed up here). I took these pics a few weeks ago but haven’t had time to post them because life intervened. I’ve worn this Kiel (any Dutch speakers here?) since to Mozart’s Requiem (it’s a mashup of every exciting blockbuster you can remember the music from, plus zombies) at the Arts Centre. 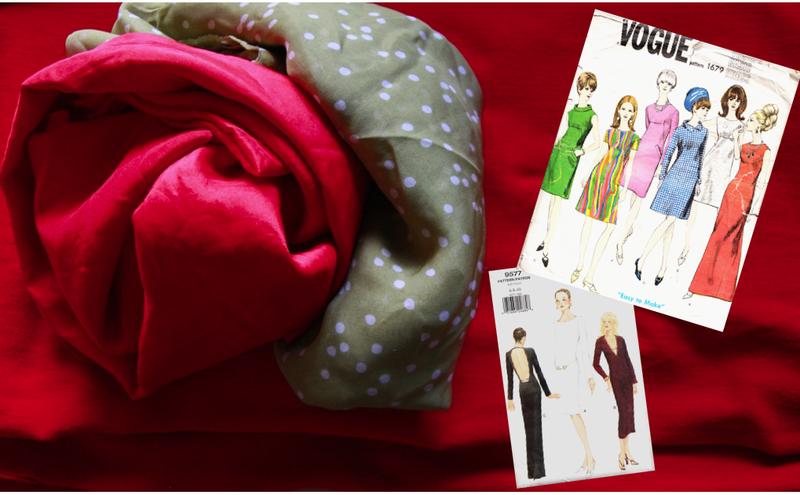 Thank you calicostretch for the surprise parcel of patterns and fabric (I machine-washed both the silks and the jersey – still awesome) I’m loving the welt pocket instructions in the Vogue 1679, I’ll be using those shortly on a coat. There was also a Kandinsky card but that’s on the refrigerator now. Thank you KC for hosting an awe-tastic birthday-choose your prize giveaway and randomly picking me as the winner for this beauty. Tron suit here I come. Fabric: Burgundy silk dupion from dashing marmot + Ochre/ gold raw silk (Jim Thompson). Faced with burgundy habutai silk. All fabrics machine washed and line dried prior to sewing. Modifications: I shortened the pattern at waist level and omitted the front tab.